Caterpillar builds a completeline of wheel loaders. Integrated Toolcarriers operate a wide variety of work tools. 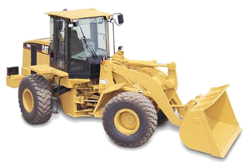 Your Cat dealer can help you choose the best wheel loader for your application.